Mexican prosecutors say they have arrested a man who allegedly played a decisive role in the disappearance of 43 college students in 2014. The suspect may have belonged to the Guerreros Unidos drug cartel. 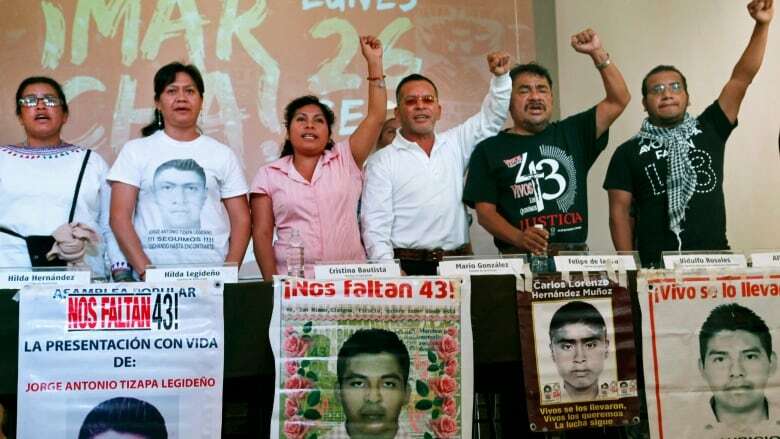 Mexican prosecutors have arrested a man who allegedly played a decisive role in the disappearance of 43 college students in 2014. Authorities say the suspect probably belonged to the Guerreros Unidos drug cartel. Prosecutors have said that corrupt police in the state of Guerrero handed the students over to cartel members, who killed them and incinerated their bodies in a big fire at a trash dump. The suspect was identified as Erick Sandoval Rodriguez. Prosecutors said Monday he faces organized crime and kidnapping charges. He is one of about 132 people arrested so far in the case. Only one of the missing students has been matched through DNA testing to the charred remains, and experts doubt all could have been burned.